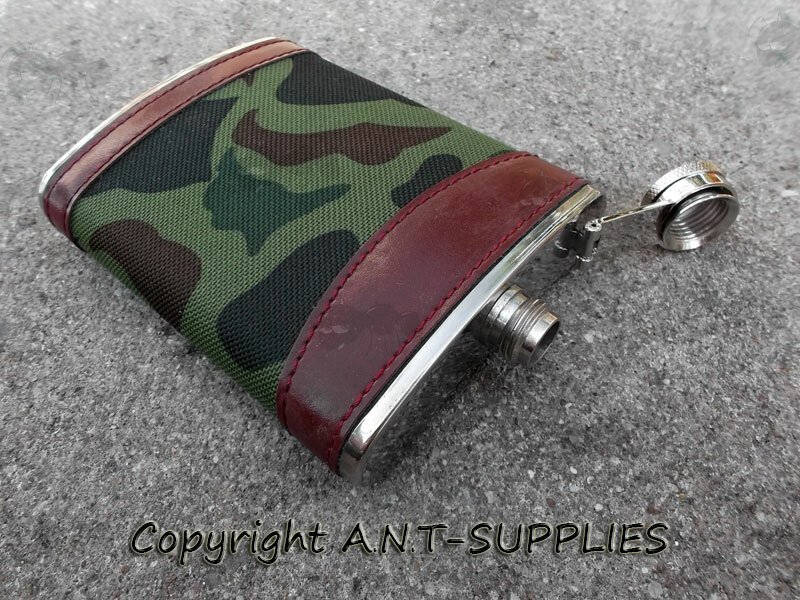 Stainless steel with camo cloth cover. 7 ounce capacity, approx 200ml. 12 cm x 10 cm x 2 cm (high x width x thickness). 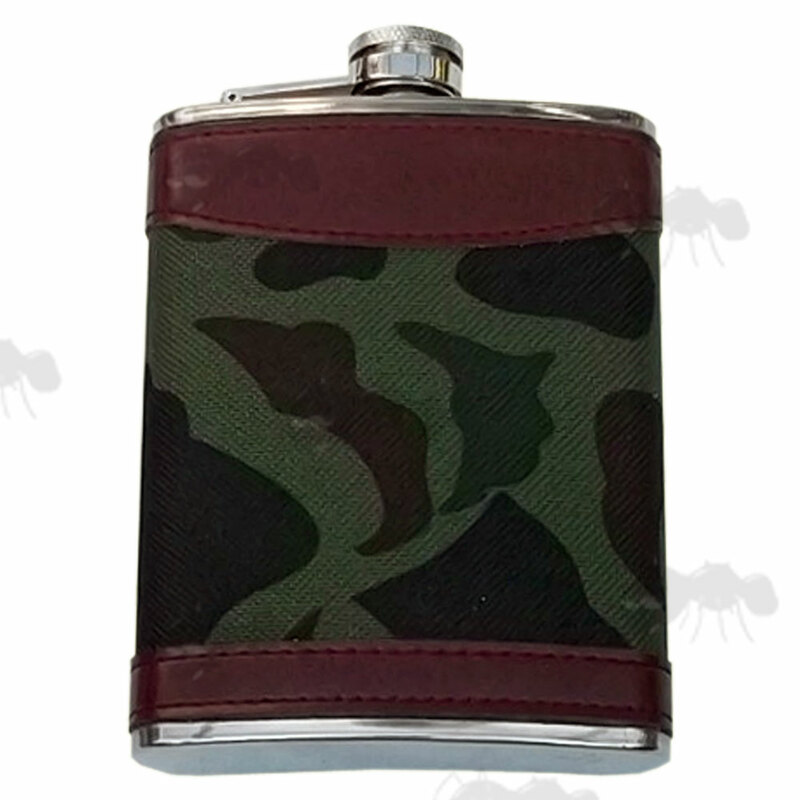 Great gift for the camo fan in your life. Fill with hot water and sterilising powder and leave for at least one hour and then rinse with cold water before first use.